The First Minister will meet members of Ahmadiyya Mosque as they launch new ‘True Islam’ campaign to incrase understanding of their beliefs. NICOLA Sturgeon will promote tolerance and understanding when she visits a mosque where shopkeeper Asad Shah worshipped before he was slain for “disrespecting Muhammad”. The First Minister will meet members of the Ahmadiyya Mosque in the city as they launch a new campaign to increase awareness and understanding of their beliefs. Mr Shah was stabbed 30 times by hate killer Tanveer Ahmed, 32, outside his store in Shawlands, Glasgow, in a knife attack over a perceived slur against Islam. Ms Sturgeon is also set to speak at a special Peace Symposium at Glasgow University. Ahead of the speech she said: “The Peace Symposium demonstrates the commitment of the Ahmadiyya community to promoting the values of peace, tolerance and understanding and is an important opportunity for us to restate our shared values and our shared aims. We told last week how Ahmed, of Bradford, Yorks, lost his bid to have his 27-year jail sentence cut for murdering Mr Shah. Lawyer Gordon Jackson QC argued Ahmed should have been given credit for admitting that he’d slain peaceloving Mr Shah. 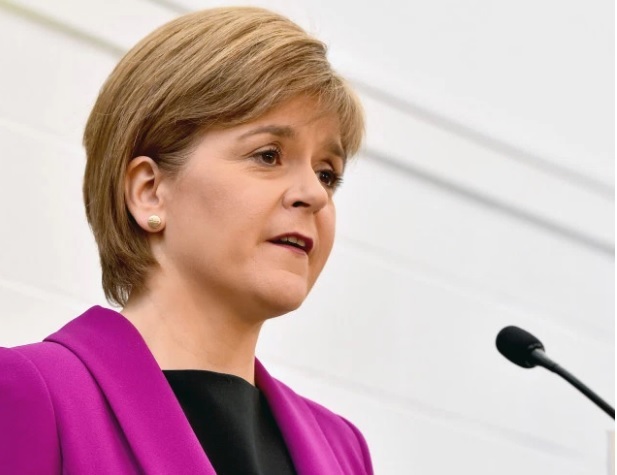 Share the post "NIC’S PEACE PLEA Nicola Sturgeon to call for tolerance during visit to murdered Glasgow shopkeeper Asad Shah’s mosque"